Not many people know I'm a songwriter or that I've been playing guitar since I was 10 years old. I started playing electric guitar first because it was easier on the fingers, and well, it was "cooler" back then. 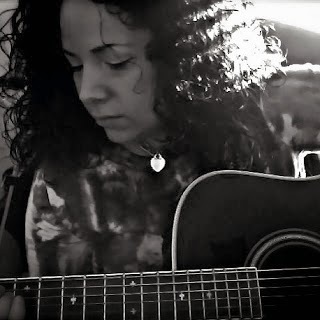 I learned how to play by ear once someone showed me the chords. A few years later, I chose to only play acoustic. I then started hopping from one band to the next and then I simmered down to open mic nights with a good friend of mine when I was around 23 years old. I have to say it was a lot of fun. My buddy Jen and I would practice for hours and hours not realizing that 10+ hours had gone by and the fact that my fingers were bleeding. (And no, it wasn't the summer of '69.) She's an amazing singer and we just collaborated so beautifully. We were so passionate about music that most of our time was practicing --- more like enjoying every single second of it. After time, we both eventually had responsibilities piling up and our paths went separate ways. I no longer had the time nor energy to put into my music because my hours at work were long, so it was a challenge even to pick up the guitar at all. I dabble here and there just as a hobby and to relax. The cutest thing is, my dog loves when I play. 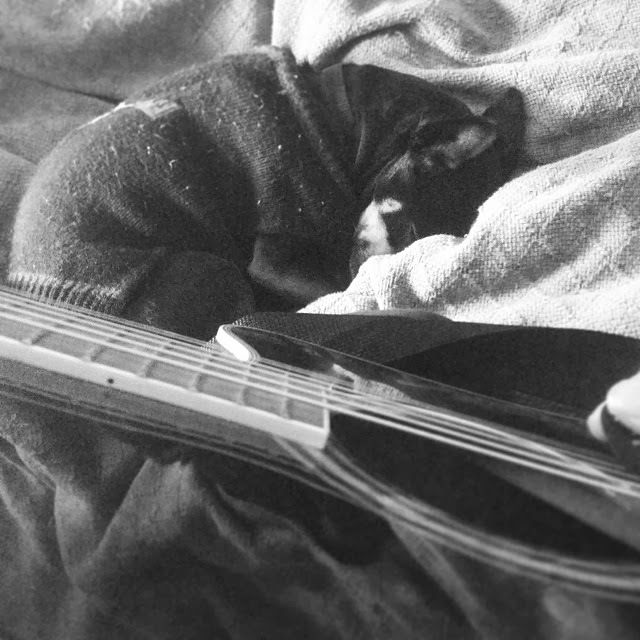 As soon as I stop playing for her, she puts her paw on my guitar and taps it. She sometimes even strums the strings, amazed over the sounds she's creating. If I want to get her to go to sleep, I pick up my guitar. She falls for it every time. Ugh I love this little dog! She gets lullabied every day. About 4 years ago, I was getting back into it. I started making Youtube videos (more for learning the chords for a particular song) and I was so amazed over how many people logged on. One video got over 108,000 views. I was so scared I would get criticized in the comment section, but to my surprised, people actually liked my stuff. I only did easy covers for people to learn. I thought it would help others as I trek onto Youtube to look for guidance as well. Here's one I did of Tracy Chapman's "Baby Can I Hold You". It's very basic and easy to play. I don't have any of my originals up as of yet. Shortly after this video, I had sliced the tip of my ring finger off and it had to be glued on and bandaged for weeks and weeks. Even after the bandage was removed, I couldn't play for over a year and a half. That finger is the most important one (not because of marriage ha) but because it's the one that I use more than the others while playing. But fast forward a few years, current time, I'm itchy to get back to playing again and have been writing much more music than I ever did. With more technology and ways to publish your music, I'll be posting some of that up here on my blog occasionally. I mostly write folk music with a bit of rock/blues fusion. Depends. As soon as I'm up and running on SoundCloud and iTunes, I'll have my music available. For now, I'm just enjoying it as a hobby and trying to keep my passion alive. Music is the one thing that keeps me focused and (somewhat) sane. I never want to lose my love for creating music as well. I always wonder about other people --- if they did something they had a real passion for but just let it go unintentionally due to 'busyness'. What about you? What's your passion (hobby) in life?